Classic 13 Tattoo by John Mihelic and Bryan Haynes has a team of incredible talented local artists with tremendous long term Birmingham tattoo reputations. 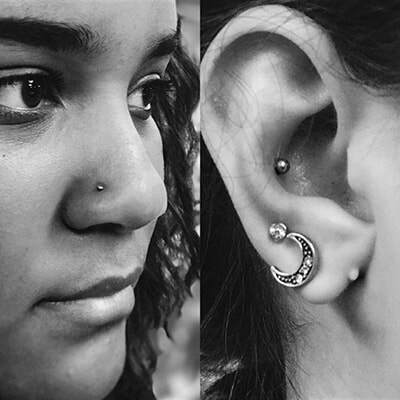 Together this team has a combined 50+ years of experience piercing and tattooing. 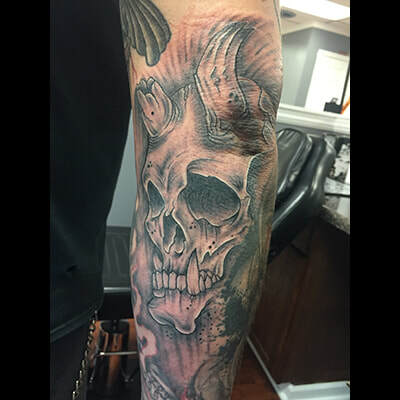 At Classic 13 Tattoo we strive to achieve highest quality tattooing with as little pretense or attitude as possible. Our shop has a relaxed atmosphere, and we are happy to work with whatever you have in mind for your tattoo. Check out our portfolios. As you will see we simply love to create other's visions for the statements they want to make with their tattoos and piercings. Bring us your idea and we will make it happen! Our 2107 2nd Avenue South, Suite A location is where you'll find our team of artists who have been successfully rocking Birmingham for years, Please stop by, say hello, and check us out! 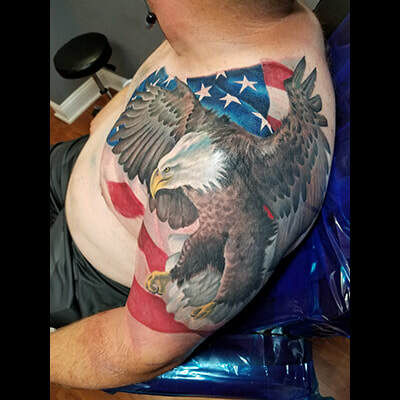 Classic 13 Tattoo began as an idea that a client can receive a tattoo or piercing that she or he desires in a truly clean environment by an incredible artist without a "Rockstar Status" or attitude. 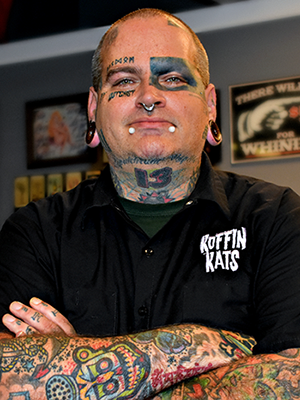 John Mihelic has been tattooing since 1995. His more favored styles of work include, but are not limited to, Traditional, Neo-Traditional, New School, Polynesian, New School, and Custom lettering. Check out John's work on Instagram. 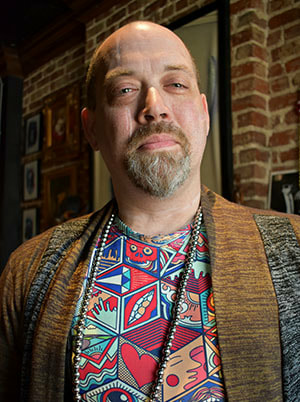 Bryan Haynes has been tattooing since 2001. His more favored styles of work include, but are not limited to, Traditional, Neo-Traditional, New School, Celtic , Japanese, Custom lettering, and Trash Polka. Check out Bryan's work on Instagram. 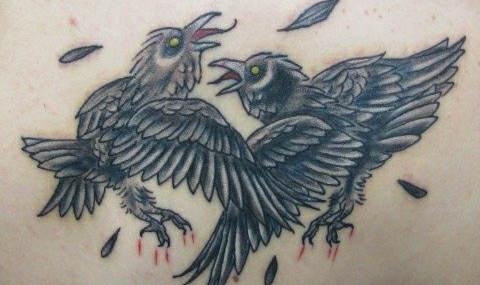 Brittany Tuggle has been tattooing since 2009. Her more favored styles of work include, but are not limited to Watercolor, Neo Traditional, and Sacred Geometry. Check out Brittany's work on Instagram. Marcos is an extraordinary talent, as his experience and special ability to capture the visions and desired his clients seek has become his special reputation within the Birmingham tattoo community. This has enabled Marcos to create an extremely loyal and appreciative client following. ​Check out Marcos' work on Instagram. 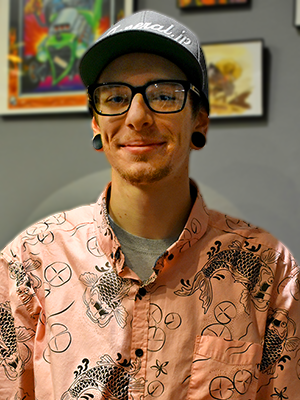 Logan Tyler is a professional piercer who's been with us since 2016. He has a real enthusiasm for this industry. Check out Logan's work on Instagram. What statement would you like to make to the world? Classic 13 Tattoo wants to help you get your message across loud and clear! 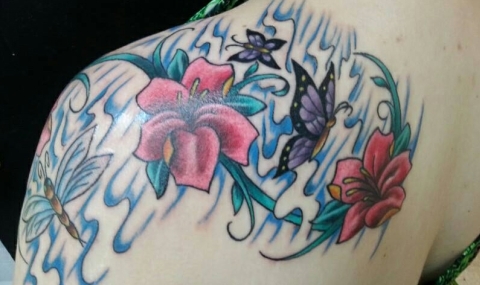 We offer custom tattoo service as well as complete body piercing service. Choose from one of our thousands of designs, or bring us your concept and we will free-hand it into a spectacular work of art. 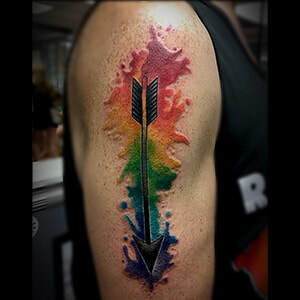 Classic 13 Tattoo began as an idea that a client can receive a tattoo or piercing that she or he desires in a truly clean environment by an artist without a "Rockstar Status" or attitude. You know you are in good hands at Classic 13 Tattoo. In short, we love to tattoo. We create unique works with love and dedication for our customers. Birmingham's most creative tattoo & piercing studio.